There is an estimated 2.5 million epileptics in the US and perhaps some 40 million worldwide. As research has become increasingly molecular in scope, fewer scientists are trained in the US on basic, integrated epilepsy techniques. One frustration in neuroscience today is the application of state-of-the-art molecular biology techniques to inappropriate animal models of epilepsy - frequently resulting in inconclusive results. Epilepsy research will be increasingly undertaken by scientists well-trained in reductionist methodology, but who may be unfamiliar with integrated, whole-animal techniques. This situation appears even more difficult considering there has been no updated textbook on experimental models of epilepsy over the last twenty years - until now. 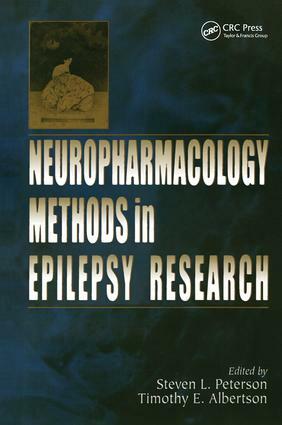 Neuropharmacology Methods in Epilepsy Research describes fundamental methodologies and procedures in this field, representing the only detailed text concerning experimental models of epilepsy published in the last 20 years. This guide studies the reproduction of well-characterized and readily interpretable experimental models of epilepsy to which state-of-the-art molecular biology techniques can be applied. Topics include electroshock, chemoconvulsions, kindling, audiogenic seizures, focal seizures, and brain slice preparations. This unique text provides a thorough reference for the diverse methodologies within this area of neuropharmacological research - providing the basis for on-going cellular and molecular investigations as well as novel therapeutic approaches to the treatment of epilepsy. "A first-rate method book…[The authors] are highly skilled scientists with many years of experience in epilepsy."